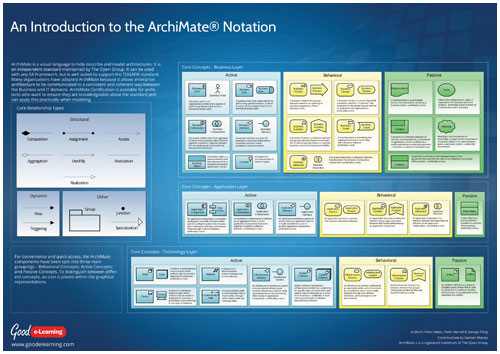 Poster 1 in our guide to ArchiMate 2,0 is a concise visual overview of the ArchiMate Standard. This poster encapsulates the key elements of the Archimate modeling language on one page. It's useful as a quick-reference guide for architects when modeling.